I've been meaning to adopt a dog for a long time and always thought I would get a rescue dog who's at least a year old (they are typically the kind of dog that seem to be prominent in shelters). 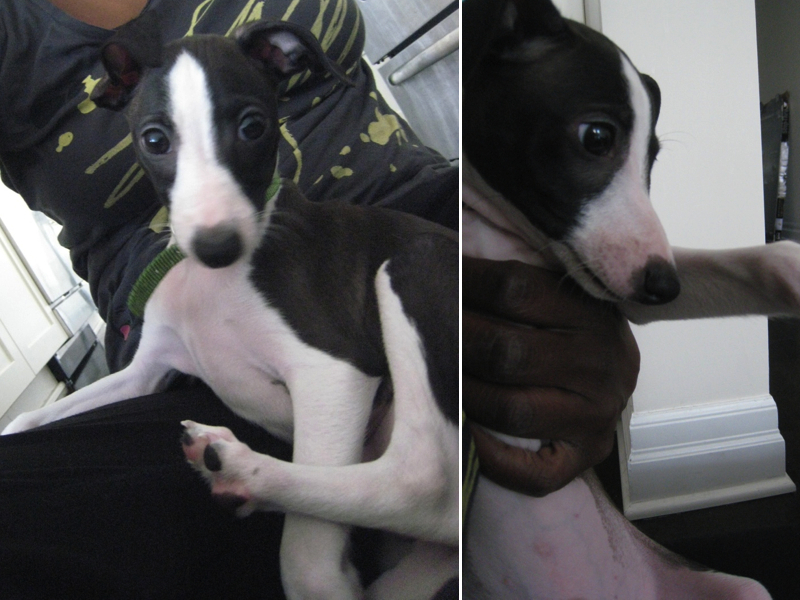 We thought we'd found the one: a one year old Italian Greyhound rescue from the States, but for some reason we ended up getting one of his 9 week old puppies. So I guess he's half rescued. We named him Newton after Isaac Newton. 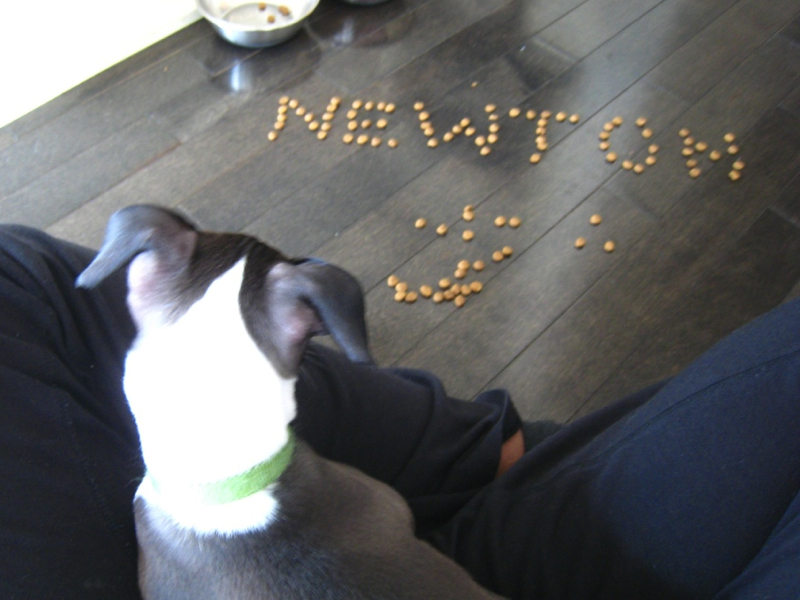 After learning about the 52 : A portrait a week project on Chronicled, I figured it would be a fun thing to do with Newton. It's a simple creative project where you take a portrait of someone on a weekly basis. It'll most likely be a fun way to bond and remember the good moments and the weekly lessons of having a puppy rather than the trials and tribulations or raising him (It requires a lot of patience). So I'm joining at Week 12 , which coincides with his first week with us. This week I learned that all bowls are not created equal. And the ones we bought are easy for him to tip over. At the same time it was a great occasion for me to spell out his name while I was waiting for him to finish his meal. 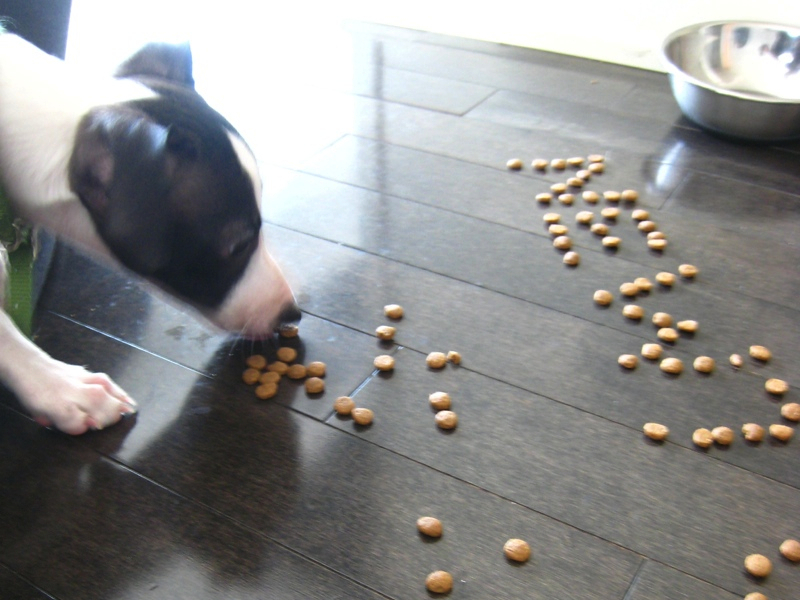 He's a slow eater. I didn't know much about Italian Greyhounds before. I didn't even know they existed before seeing Jenna Marble's dog Kermit, who's also an Italian Greyhound. They kind of look alike. Hopefully Newton grows up to be as calm as Kermit. 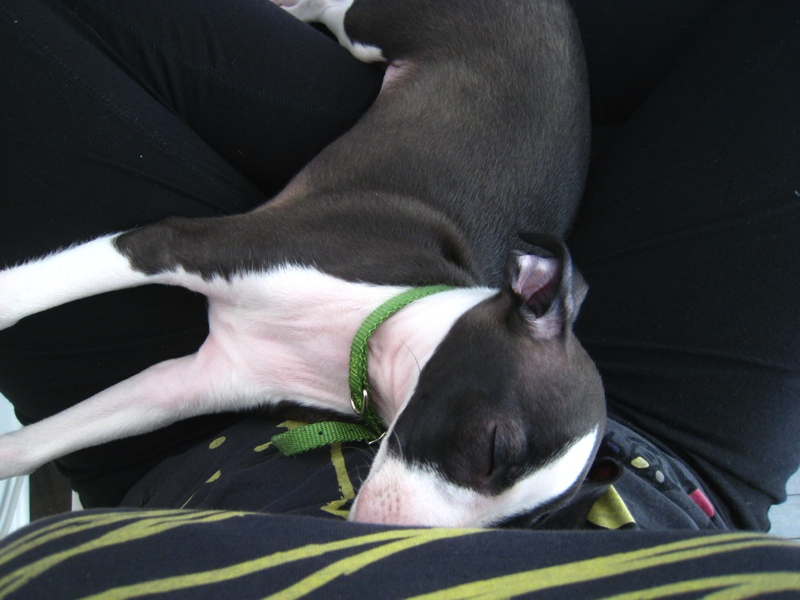 Italian Greyhounds are sometimes referred to as "velcro-dogs as they always want to be near you or on you all the time. He's definitely displaying this behaviour already. He always tries to climb on our lap. Here he is at a little over 2 months old. 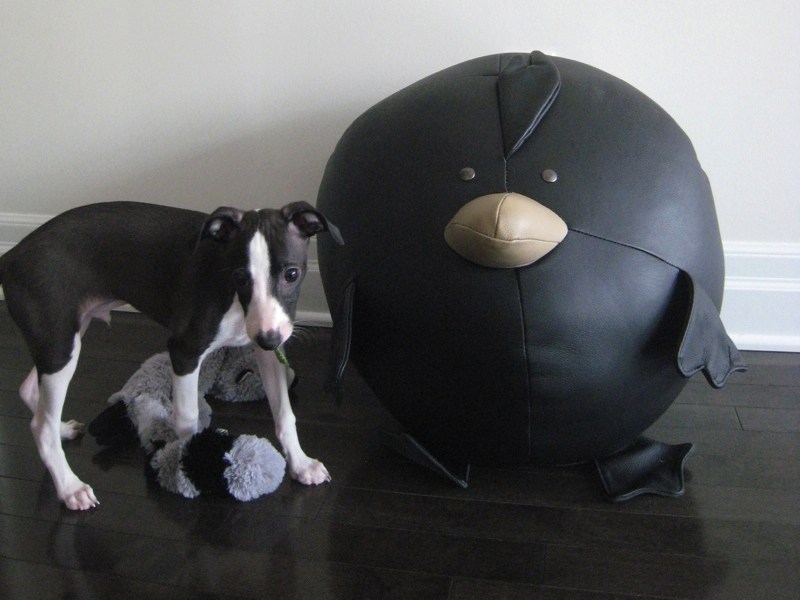 It will be interesting to see his growth over the months compared to this bird ottoman that we like to call Grumpy.